Our CONNECTION YOUNG ADULTS CLASS meets this Sunday (August 12) at 9am in the coffee shop/bookstore at Living Stones Church. 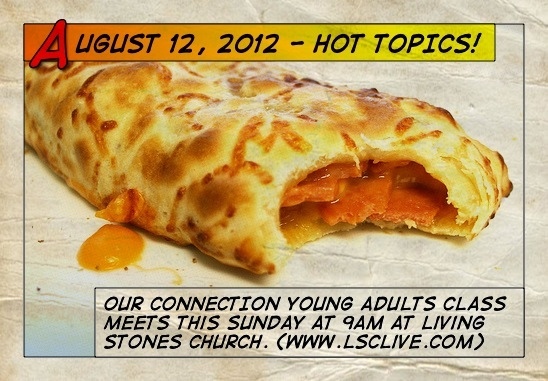 (www.LSClive.com) Childcare provided. Margie and I hope to see you there!